It turns out this is also likely to be the last Tripel Hop with a year date on it. The plan is to switch to naming each new release after the additional hop, so this one is already being described as Tripel Hop Equinox, while last year's becomes Tripel Hop Mosaic and so on. “People talk about the year, not the hops, but the hops are what's special about each one,” explained Matt Willson, Duvel Moortgat's UK general manager. Whatever you call it, the beer is delicious – it smells almost Saison-like, with Equinox adding a floral and faintly peachy note. There's a huge drying alcohol bite from its 9.5% ABV, with a peppery and lightly citrus body – I guess that's as much the Saaz and Styrians as the Equinox. It finishes dry and floral, with hints of honey and tangerine, the latter again being Equinox I think. Duvel is also launching into the UK market two beers from Boulevard, the US craft brewery that it bought about 18 months ago (it also owns New York's Ommegang). One's the highly regarded Tank 7 Farmhouse Ale – a crisp and funky beer, with a big chewy body, thanks in part to 8.5% ABV, and a firm grapefruit and peppery bitter edge. I've had this before, but not as fresh and punchy as it was this time. It put me more in mind of a Farmhouse IPA and it stood up remarkably well to spicy food. This could easily be my new go-to beer for curry! The other's Boulevard's Single-Wide IPA, 'only' 5.7% but still full-bodied and with grapefruit and pine resin notes on the nose. There's citrus bitterness and honeyed malt, but the body is more earthy than I expected. It too is delicious, and somehow mid-Atlantic in style, seeming to combine elements of both American and (modern) English IPAs. “The hops are chosen by Hedwig – he picked an American one this year as a nod to Boulevard,” Matt says. “It's an interesting market in the US now – it's all about provenance,” he adds, noting that with craft beer so local and the breweries mostly so small, Boulevard is now the seventh largest in the country on annual production of just 240,000 hectolitres. Meanwhile, the UK market is becoming more price-sensitive, he says, especially as foreign craft beers begin to be produced locally, just like all those 'world lagers' that are really brewed in Wales or Kent, say. 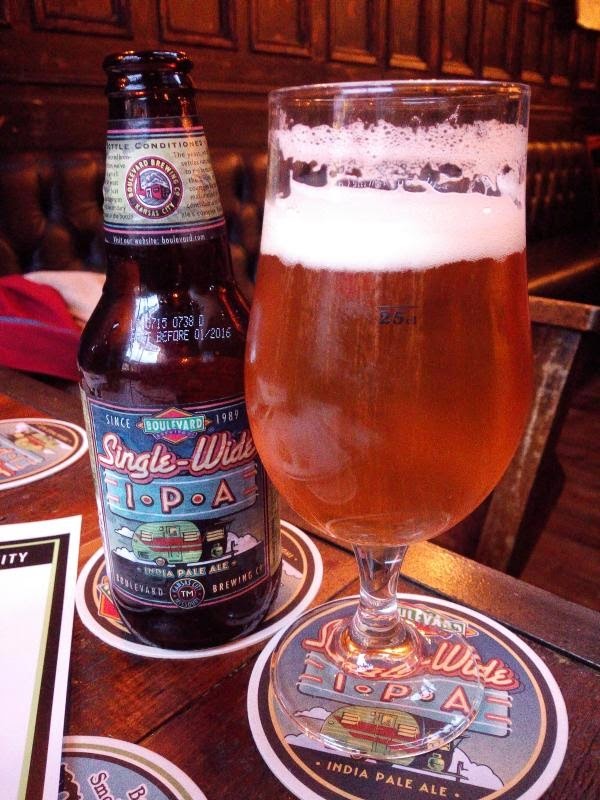 The biggest example recently is Sam Adams, now brewed under licence by Shepherd Neame. “It means they can undercut their US rivals on price,” he adds. 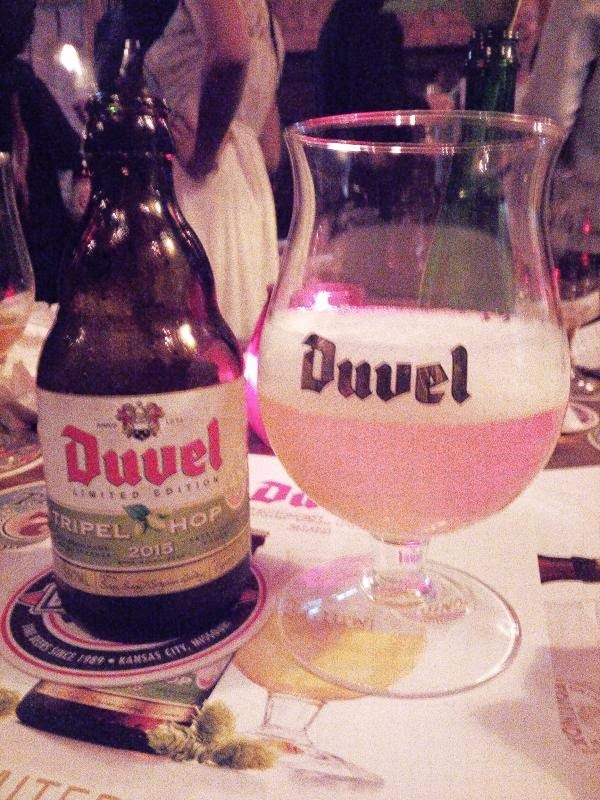 “I believe in provenance, but then I would!” In order to compete and yet stay true to their origins, companies such as Duvel are having to come up with creative ways to compete. , and it arose from a bet between Duvel's head brewer Hedwig Neven and members of Zythos, the Belgian beer consumers group. It was first brewed in a very limited quantity in 2007, that brew was repeated in 2010, and it then became an annual special from 2012, but this time with a different third hop each year. *these two will inevitably coincide, if you think about the astrodynamics involved.